The Omni Shoes are designed to be comfortable and allow for extended, fast-paced gameplay sessions. The shoes have a proprietary low-friction shoe sole with an engineered sole configuration that stabilizes the foot and enables a natural gait when using the Omni. Omni Shoes are required to use the Virtuix Omni. Check the shoe size chart to find the right size for you. Omni Shoes do not include Omni Tracking Pods (to be bought separately, if desired). 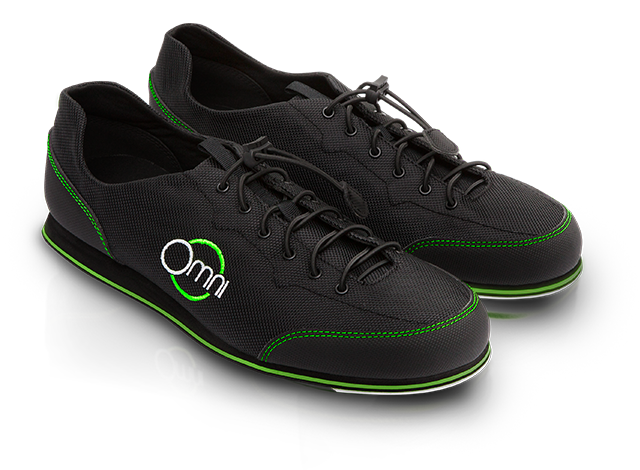 The Omni Tracking Pods are easily detached from a pair of Omni shoes and transferred to another pair when changing players.